It was Oct. 2000 when I decided to get myself a present for my birthday. 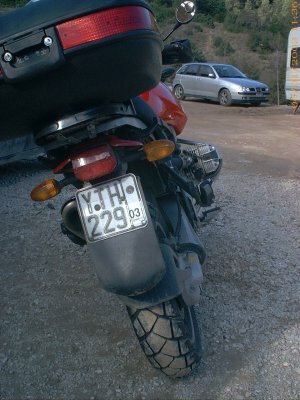 Until that time I had seen the BMW R 1100 GS in the Athenian (Greece) roads and some articles in the moto mags. When I started looking up for the GS prices I realized that a new GS was out of the question for my thin wallet… 4,325,000 GDR & 4,780,000GDR w/ ABS BMW price list (that translates to 12,692 € & 14,027 € respectively). So I decided to look up for a used GS up to 4 years old. I thought that if I looked hard enough I will be able to get me a really good buy within a month. Prices back then ranged from 11,450 € (Moto store) to 10,000 € for one w/o ABS from an owner. Yet it was again much too much for my ‘skinny’ wallet! In a few words it meant that I would have to spend more than my last 2 working years of savings. After long thought I finally decided to give away my Honda XL 600 R (model 1986) and… buy a used NX 650 Dominator (model 1996). I had, you see, great respect on the engine that Honda had made for these two ‘cousins’. If the plastic parts of the XLR were not falling apart, the battery pocket did not… ‘fade away’ and most of all if it had an electric starter, it would still be out of my home as a second bike! The engine could easily manage another 60,000 km without opening it up for a second time. Welcome home NX 650 Dominator, it was 11/2000 that I sold the XLR and bought the ‘Domie’ for 4,110 €. Yet the BMW GS was still in my mind. And the big quest started. For almost two years now I have been using the ‘Domie’ every day, sorry I meant almost every minute! Used it for trips up to 250 km, used it in Athens, for fun and even decided to sell my reliable… car (yes the reliable Fiat Punto 75 ELX)! I decided that if was going to live in Athens I DO NOT NEED A CAR to get around covering a distance of 10 km in one hour plus! My wife will lend me her Clio 1.2 RT a/c if I need it (approximately 8-9 times a year so far). Since then all the money I saved from the nonexistent car use, were going in the bank in order to save up for a BMW R 1100 GS purchase. And the big quest continued. After a thorough market research (especially between Jan.-Aug. 2002) I finally found the right GS for me. The 1995 GS, was owned by an orthopedic surgeon (a very impressive person indeed) called Panos (Panagiotis is his Greek name). Panos was a person who had 3 motorcycles and 3 cars. I must admit though that the red GS was in mint condition and well taken care of (fully loaded with all BMW accessories and… a few more). So the GS came into my hands 27/8/2002 with 55,400 km, all the services signed for in its booklet, and unfortunately worn tires dated back from 1997!! Yes, the GS will allow you to ride it with old worn tires – I lived the experience. 1/9/2002 My first short trip was the round of Attica 1/9/2002 with my friend from the army and my best man John. Started from Posidonos Ave. down south the seashore to the Cape Sounio, on to Lavrio for a short stop for coffee and then off to Markopoulo, Stavros Bridge, Kifisia and St. Stephanos. Near St. Stephanos John realized that my tires were practically falling apart. We started noticing the inner steel linings! Last 27km back home were a slow driving experience on the Lamia – Athens Nat. Road (Kifisos). I did not know if I would still have my tires on by the time I reached home… Immediately the next morning, I decided to buy the brand new and ‘fresh’ Metzeler Tourance for the GS at the cost of 240 € (placement included). I also got the chance to check the break pad shoes condition. I had another 7-8,000 km more until replacement for the front pads. The back wheel will need sooner (another 2-3,000km). So Thiva trip conclusion: In the rain at 100+ km/hour you can travel with the GS as you are traveling on dry asphalt and not really get wet (unless of course you come to a stand still at a traffic light). 8/9/2002 Nafplio for… coffee. We are talking a total trip of 300+ km just for one coffee! Yes you can do this with the GS (and maybe some other bikes also, but a BMW is for me the ultimate driving machine, sorry guys). Going to Nafplio we took the ‘old national road’ the one with the many… turns. It was a good chance to ‘break in’ our new tires (John had purchased the Tourance two weeks earlier for his Transalp) and for me to find out a little bit more of how much the GS leans to the side when it turns. Well, I will need at least another trip to find that out. The more you lean to the side with the GS, the more the GS wants you to lean to the side and ‘tells you’: I still got more to go. And then you start thinking is the boxer cylinder head reaching the asphalt first or my foot rest?! I will take it slow for the time being and let this unanswered question to be solved during another trip. I still need more time to get use to the GS. After all so far I traveled only 600 km (460 in one weekend – two mornings). The GS I think after all is made for unlimited kilometers per day. Some GS owners have already tried their buttock limits more than the bikes’ limits! - Gasoline consumption stats: 18,65 liters of unleaded fuel lasted for 345 km. That gives me 18,5 km per liter at an average speed of 100 km/hr. When the gray fuel tank bars on the gasoline meter disappear I still have another 45 km to go until the yellow light of the reserve tank lights up. 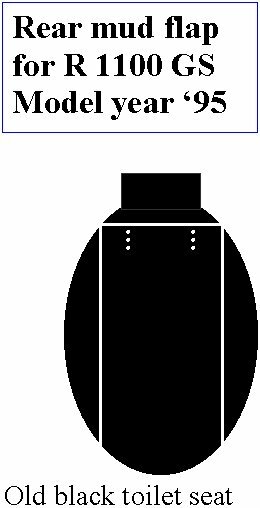 Question to be answered: If the fuel tank capacity is 25 liters and I needed 18,65 liters to fill up (at yellow light warning), could the reserve fuel (yellow light warning) be over 6 liters capacity? The manufacturer gives the reserve at approximately 4 liters in the manual. Need to monitor this in the future. 13/9/2002 17:15hrs. I place the key in the ignition, turn it clockwise and lift up the side stand - all GS owners know that this is how you get the electricity ‘juice’ traveling into the motorcycles’ electronic systems. Gray smoke comes out of the center front topside of the tank and a nasty smell of burned wires. Shut off the ignition immediately. My mind went 5,300 rpm per… second (rps). Visually check the wires and realize that the trip master power extension wires (the previous owner had placed) became a burned roast beef. I move the wires away from the steering neck frame and stop the ‘short’ that a naked wire was making. Start the bike and head for my… patient friend Manos (the electronic wizard). The extension wires of the trip master did not have a safety fuse installed! 19/9/2002 So, today I decided to give myself a break during the week and go to Chalkida for coffee. I send e-mail to a new GS friend Stelios, with the idea planned out. Unfortunately Stelios (although not working) could not make it due to personal reasons. Once I told him it is O.K. I’ ll just stay home watch the F1 videotape and look up my GS battery condition. He welcomed the battery check idea to implement it at his house. So off I go to Stelios’ house. Once we finished with his battery (everything was in good operating condition for Stelios’ GS), we opened up my GS and realized that I needed to add battery fluid (the battery plates were showing their top edges to the naked eye). We serviced the battery and assumed that the previous owner (Panagiotis) did not do any checks since his latest service (21 Jan.2002 – battery purchase/replacement should be late 2001). By the way today I filled up the gas tank again and noticed that with normal riding (70% aprox. city riding) the GS consumed 18,5 lt for 295km. That is 16 km/lt in Athens vs. highway use at 18,5 km/lt. Next try for measuring fuel consumption will be at a long trip at an average speed of 120 km/hr. Note: the GS must definitely count more km/hr than what the speedometer reads. Johns’ Transalp (’96 model) reads 92km/hr when the GS reads 100km/hr. Need to check with Stelios’ GS and compare notes on this subject. 22/9/2002, Athens – Hiliadou (Evia). 280km round trip minimum 3 hrs to get to Hiliadou nonstop. Filled up with gasoline 10€ for 13.1 lt of unleaded fuel lasted me for 198 km. Highest fuel consumption noticed yet so far 15.1 km/lt. I used the bike 80% in Athens. 23/9/2002 I finally managed to visit one of the very few reliable BMW service centers in Athens, regarding the oil leak (tears) I have on the left cylinder from the oil plug refill slot entrance. Panagiotopoulos (the owner) was there on top of his mechanics. As soon as I pulled up the driveway he immediately came to me and asked me what I needed. I told him regarding the annoying oil tears coming out of my refill oil plug and got a chance to mention also the oil tearing coming out from in between the right hand engine and gear housing. It was so good to hear that there was nothing to worry about and that when we replace the clutch (within the next 10,000 km – now the bike is at 57,800 km) we will also change the seal between the engine and clutch gears housing. He also mentioned not to push the bike at high speeds, fully loaded and for a long time (as I did recently coming back from Evia trip). After, he changed the two O-rings of the refill oil plug he placed it on the cylinder head by first applying also a thin silicone coat on the plugs outer sides. Drove the bike, after ½ hour of silicone drying, back home. No leaking noticed again so far. I have read that this procedure is best when done with the engine cold (something we did not do). Riding time will tell the truth in the near future. Solution one: Go into the TURATECH site and look up the accessories for the 1100/1150 GS. For less than 20€ you can purchase a rear mud fender extension - a little small I must admit – but it probably works. Once we make our thin paper maquette seen bellow on the right side, we tape at the corners of the maquette on the plastic seat cover (try and ‘center’ it as carefully as possible on to the seat cover). Then we simply cut around the exact border of the maquette with a fine saw (electrical one will make your life easier). The 3 remaining pieces of the seat cover can be kept for a possible future use (who knows what one may think of next!). After all, the seat is made out of a hard enough bendable 3-4mm plastic material. Next step, we take the thin paper maquette (carefully)off the remaining plastic cover, thus revealing our final plastic mud flap. At the same time (before we throw away our maquette – who knows who might need it next) we mark the two 5cm cuts at the top of the seat (3,5cm from the left & right top ends) and the two center 1,5mm slots in order to fit the bellow the rear light ‘line traces’ that exist. If you notice carefully you will see them right bellow the rear light fixture. 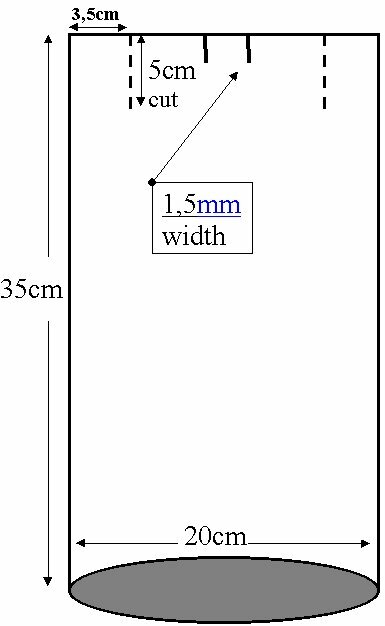 Now the tricky part regarding the 3,5cm X 5cm ‘cut’ line area. You need in someway to heat it at the 30cm height level left and right (out of the total 35cm height edges) and bend it so it gets a parallel position to the road once it is placed on the bike – approximately 90 degrees bend. Notice: do not heat extensively and at once as this may destroy the plastic surface! Heat gradually and bend at the same time in order to get the desired 90 degrees angle – parallel to road. At the end you can smooth out the edges of the mud flap with a rough sand paper, cut out the holes for the plate placement and start assembling the plate on the mud flap (bottom plate screws) and the mud flap onto the bike (top plate screws). Again, please do count 3 times and drill the holes of the plate once. If you like you can place some silicone (for more durability) in between the surfaces. So far I have tried the mud flap for 100 km and there is no water or mud reaching my back top case. Last, if you are too lazy to do it yourselves, please do stop by at your next trip to Athens, and I can help you out with the task. It will not take more than one hour once you have the right tools available and… you can take a small break for coffee at my house!